Comparing International Call Roaming Charges in India | Going Abroad | Free Pc to Phone Calls, Free Voip Calls to India International ! 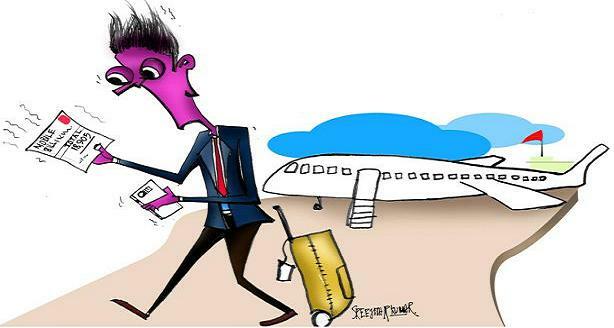 If you are going for business travel, honeymoon or a holiday, doesn't matter. If you are planning a international trip (going abroad from India), then this becomes one of the important considerations. That is "How am I going to communicate with my family back home". How much will I get charged if I use international roaming on my mobile phone. What if you don't use any international roaming on your mobile instead buy a calling card (in the country where you are going). Offcourse this will be a good option as calls to India are just 1-2 cents but now the concern is "what if I don't get a calling card to call back home". And may be it will not be very much feasible if I am traveling more than one country! Get their international roaming activated and rely totally on international roaming for all calls. End result is that when they are back, a huge bill is waiting for them. If you are on prepaid then all your balance goes nil in just few calls. Buy international sim cards here in India itself like Matrix Cards. This is a better option than international roaming, but it is again not that cheap. You will end up paying in thousand's anyway (depending on the country you are visiting). Visit their destination and but a calling card there itself. Perhaps one of the best options as you pay about $5 for whole trip (one-two weeks). Another option which very less people use is "Voip Calls on your SmartPhone". Guys this is the best option according to me. Offcourse terms and conditions apply here as well. As large number of people anyway get their international roaming activated (many use this as well), so we decided to evaluate the option one "International Roaming" in detail. And lets see our analysis result's. This comparison can help you decide the service provider you should choose when planning for international roaming. Though most service provider's have more or less same rates, still you should consider evaluating all of them. Please also notice that many service providers don't offer international roaming to all countries. So make sure to check with the telecom customer care for exact details. Works in more than 200 countries to make and receive calls. Cochin or Kuwait, Amritsar or the America, you´ll always be just a phone call away. Prepaid : Roaming is automatically activated. You’ll be charged a monthly rental of Rs 99 on making any action (call/sms). Postpaid : Roaming needs to be activated. Call 111 for details. A standard roaming deposit of Rs 5000 is charged. On request from the user, deposit will be adjusted in the upcoming bills post the deactivation of International Roaming services. Indirect Call or Callback : Works like a calling card in 177 countries. For details, please check : Following link. Prepaid : Monthly rental of Rs 99 as like Vodafone. Postpaid : You need to get your international roaming activated. Call 121 for details. A monthly rental of Rs 149 will be charged on IR activation. Deactivate this when you are back. Incoming Calls are charged at Rs 100. Same rates for Singapore apply. Callbacks to India at Rs 150. It seems Vodafone is a better than Airtel option considering the rates. Does not work everywhere. Check with customer care. Call backs (outgoing calls to India) at Rs 80 - Rs 300. Incoming calls at ~ Rs 100. Prepaid : Not sure if it works. Website says "No information found". Postpaid : All details below are for post paid idea customers. Callback to India (outgoing calls to India from USA) at Rs 135. Incoming calls are charged at Rs 75. From the above analysis of international roaming calling rates, it seems that Idea and Vodafone are better options as compared to Airtel. SMS is a better option as compared to voice calls. If you are planning a international trip, what I can suggest you is to get your international roaming activated. Use SMS for general communication. Try to a calling card locally at $5. Use international voice calls only when in emergency. Another good option (which I will choose) is either get myself a international calling card like Matrix or go for voip calls from any voip provider. For option 2 : International Roaming Calling Cards, Follow This Post. For option 4 : Voip Calls on mobile or PC (with or without internet), we will be writing a post soon. This is the best option when going for international trip.